I have a 09 600rr and i just got my hotbodies flushmounts today. So i thought i would help some people out by making a walkthrough. Heat shrink wrap(5 bucks at the auto store) buy a small diameter one so you can shrink each individual wire and a larger one to wrap them together if you want. A hair dryer or something that blows hot air. Once you have the bolts off you have to slowly remove them. Work your way from the bottom up. Once the bottom is loose you have to wiggle the area that connects with the tank. It will feel like its breaking but it wont. Just be patient and careful. 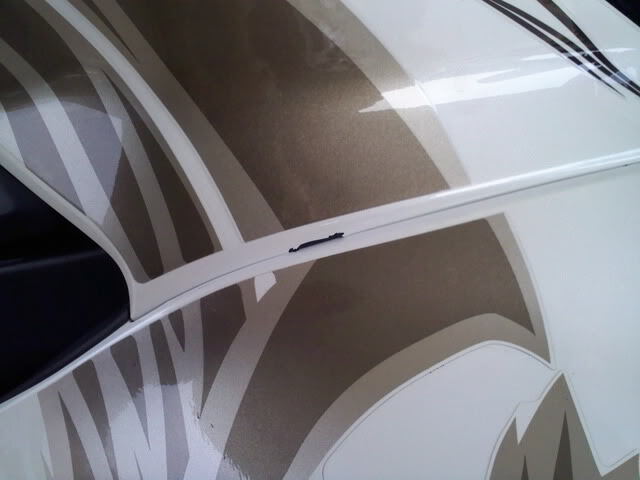 Once you have the fairing off use a 10mm socket to remove the stock blinker. You will also want to pull the wires out with it. 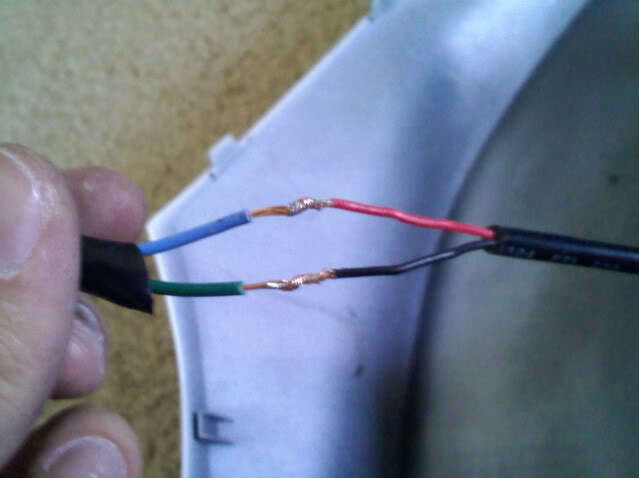 With the blinker and wire out cut the wire so that you have a good amount of wire left over. You will need the end that plugs in. 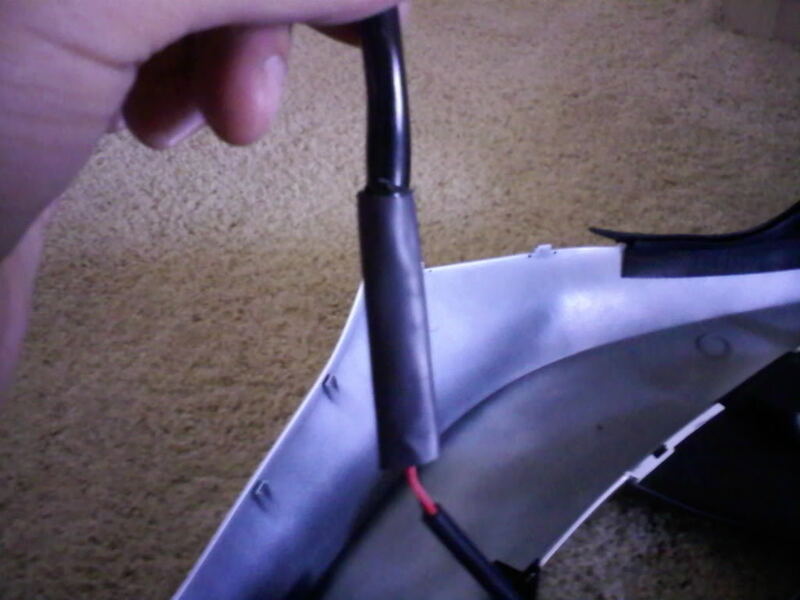 Cut back some of the black sheath that covers the wires. You should have three wires. 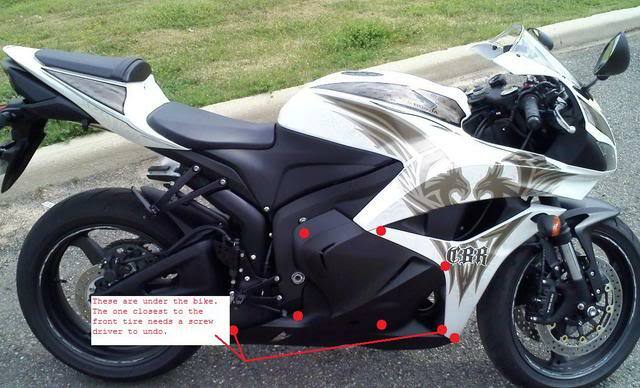 The right side of the bike has blue and green. The left side has orange and black. You will only need 2 wires to hook up your new blinker. Blue with white strip= Running light. 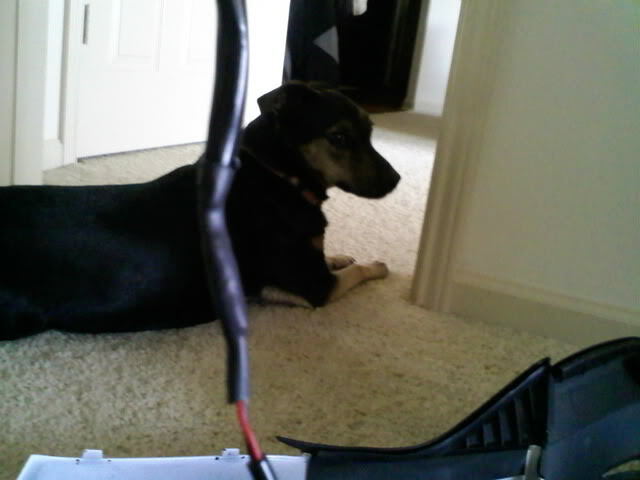 I didnt want my running light so i cut the running light wire. This is what i ended up with. Twist some electric tape over each individual connection. I ended up taping them together after just to clean it up a bit. With the heat wrap tightened around your connection it will be much firmer than just twisting and wrapping with tape. 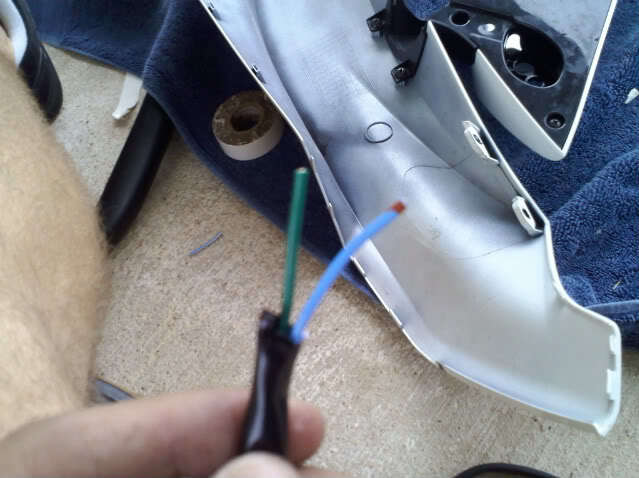 Run the wire through the little holes it is meant to and then go plug it in and make sure it works. If it does(which it should if you follow my walkthrough) reverse the fairing removal instructions to place the fairings back on. Last edited by CBRfenatic93; 06-06-2010 at 05:32 PM. 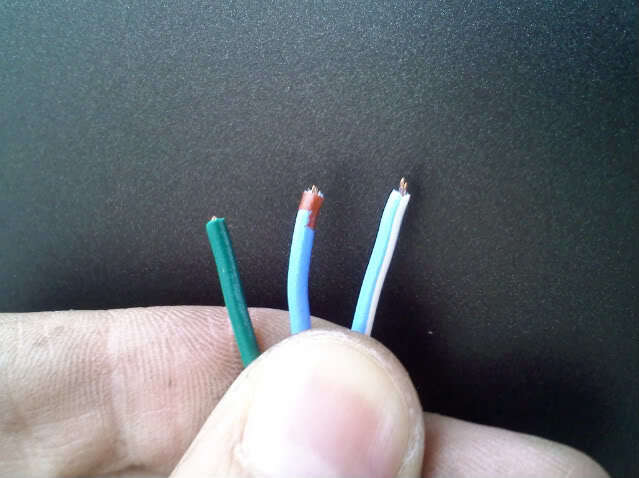 Take a look at my two to three wire conversion too, hot bodies signals work great for that! Thank you. That was my first how to. I always mean to do one when i work on my bike but always forget until im half way into it. I was thinking about getting these flush mounts for my 09, but they dont look like they would be visible enough...to say someone directly in front of you???? They look a little recessed, like they would only be visible from side. Are they still visible in daylight while looking straight on at the bike??? I set my bike about 6 car lenghts away from me and was able to see them blinking at around 4pm. 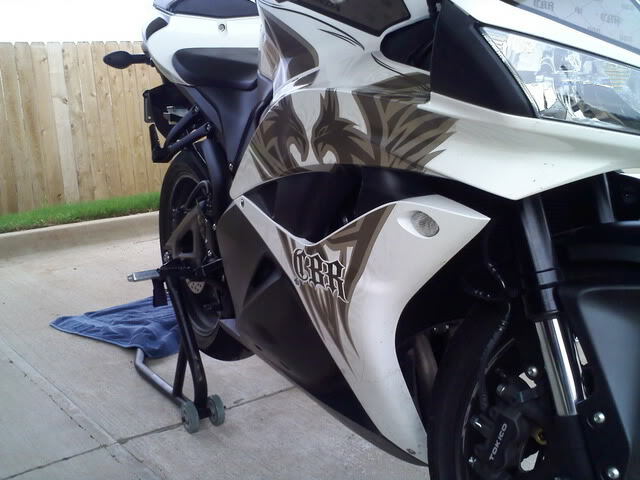 But since my bike is white it may be a bit more reflective then say a black bike. None the less they look clean and i never trust a cage to see my blinker. 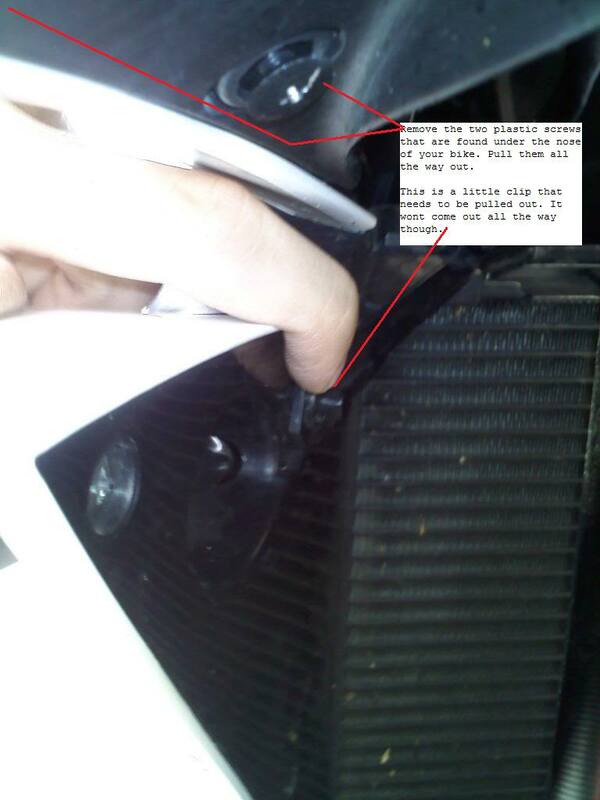 Will this guide work for a 2005 CBR 600 RR? It should. Im not familar with the wiring on the 05's but you can use this as a base. 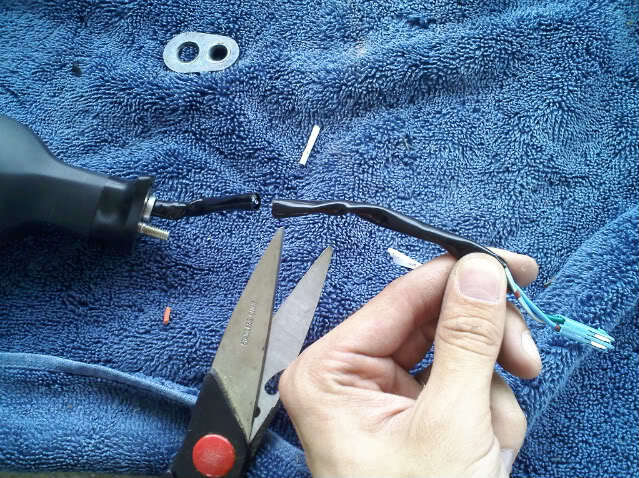 i recommend soldering your wire connections before heat shrink wrapping them. otherwise you run the risk of the connection coming apart eventually. good write-up though!